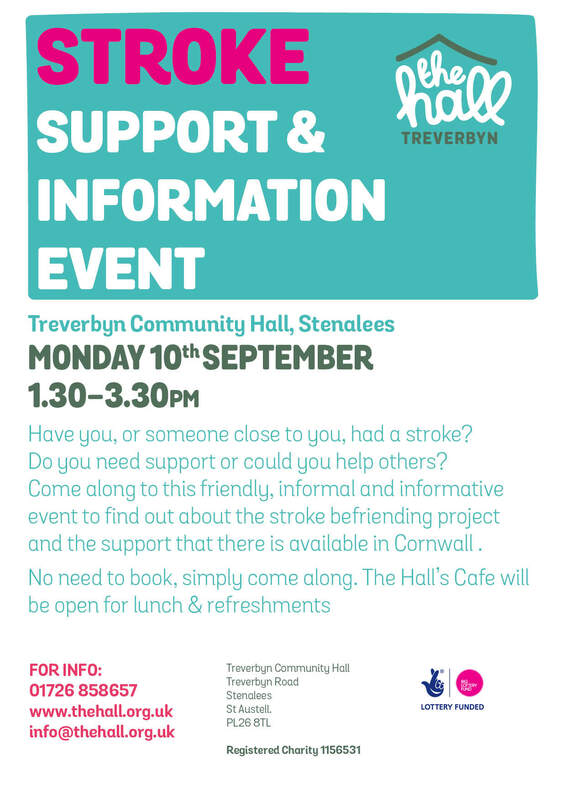 If you, or someone you know, has had a stroke then why not come along to this event and find out more about what services are available for you in Cornwall. No need to book, just turn up. 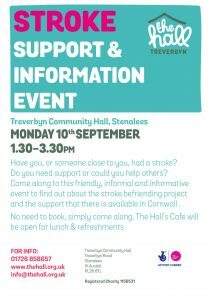 The Hall’s Cafe will be open serving tasty treats and refreshments.